Hello everyone! I'm posting today because my best friend is getting married today! Unfortunately I couldn't be there to celebrate with her, but she knows how much I love her and wish I could be there. 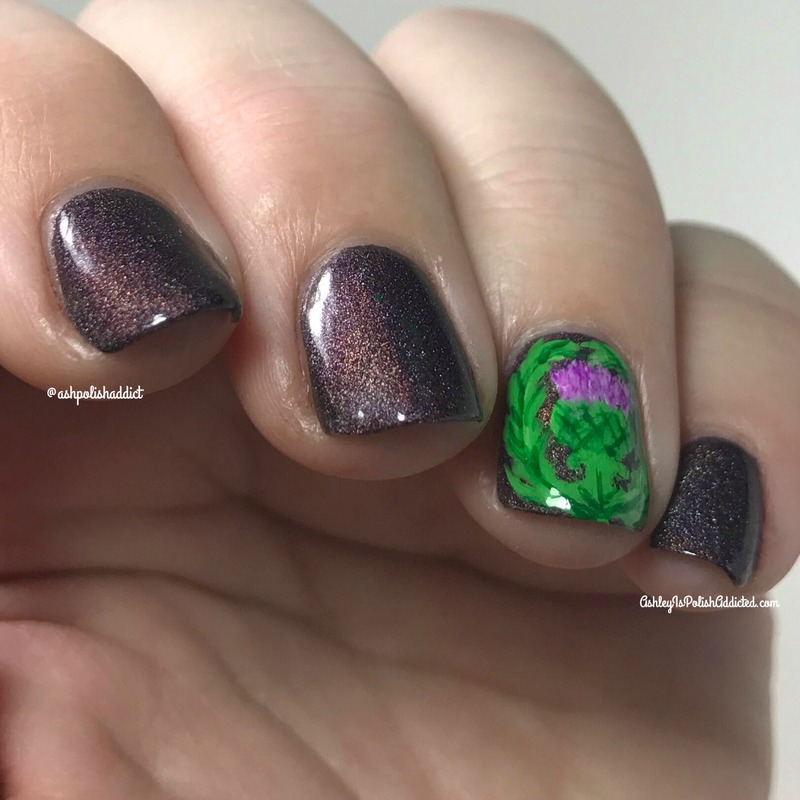 So I decided to do some nail art as a tribute to her. If you know Sheila (Pointless Cafe) at all, you know she loves Scotland. In fact, she will be getting married and honeymooning there! So, what better way to "be a part of" the wedding than painting a Scottish Thistle? I was inspired by the clip art image (added to the corner of my picture above) because it had the heart around it. I wish my heart would have turned out better, but overall I'm pretty happy with it! 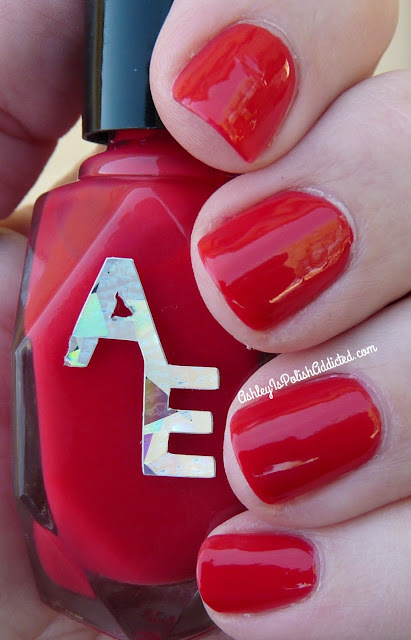 I used A England Sleeping Palace as my base because it is Sheila's favorite polish (plus it's gorgeous)! 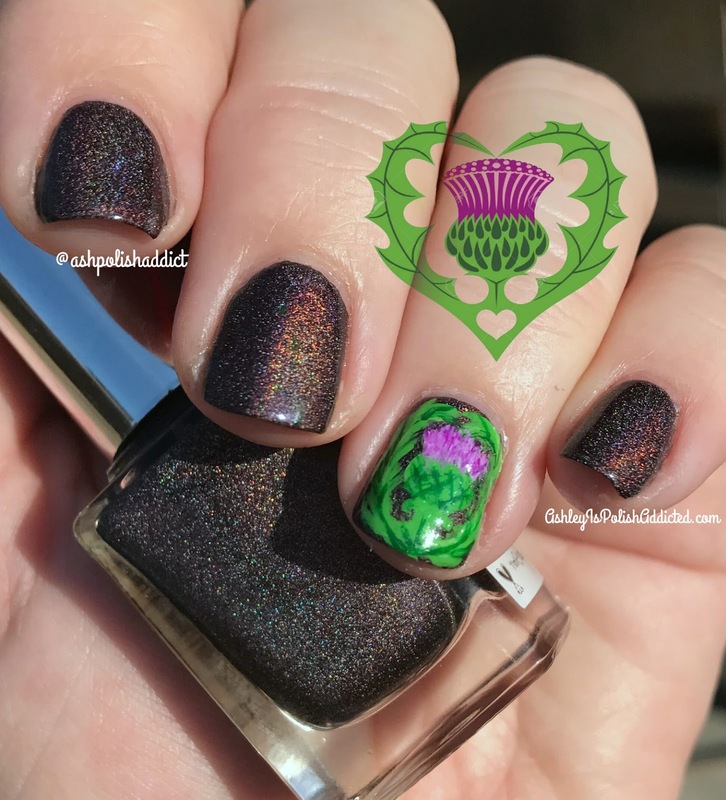 The thistle color was created using Illamasqua stance and white polish. The rest was done with acrylic paint. Hi, everyone! I hope 2017 is treating you well so far! 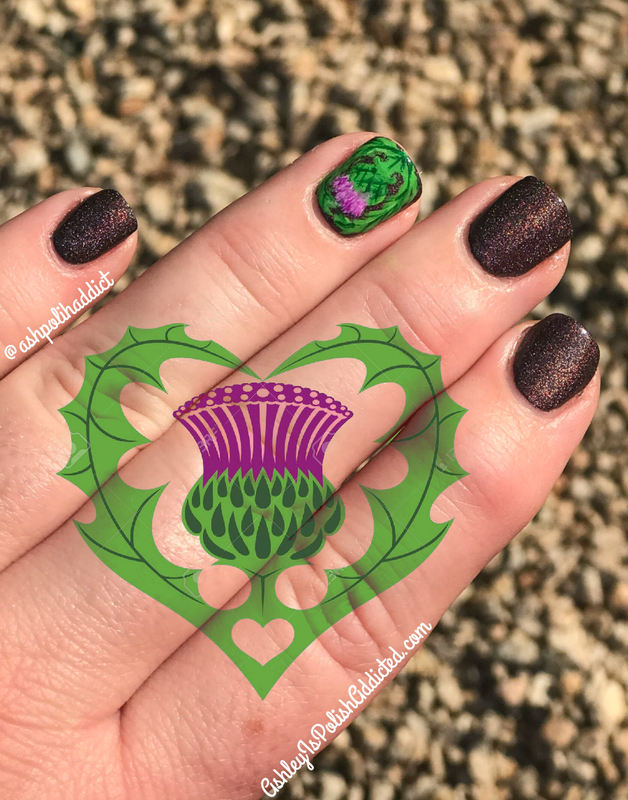 I have a beautiful duo to share with you today from 6 Harts Polish, as well as a review of a brand new product from her! Let's get to it! Hello! 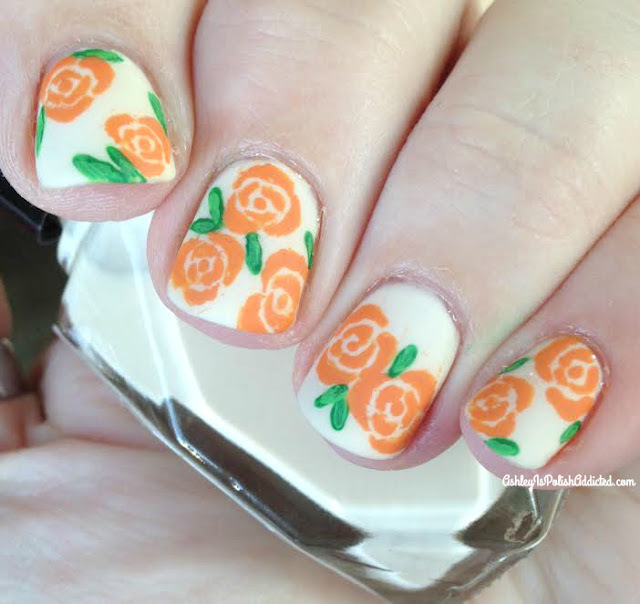 This month's Indie Spotlight brand is one of my personal favorite brands - Paint Box Polish! This also happens to be my first Christmas nail art of the season. 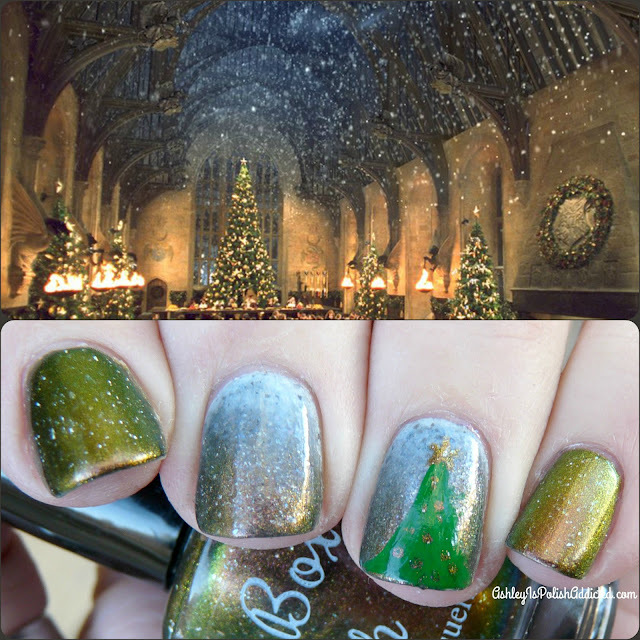 I figured December 1st was a good day to kick off Christmas manis! 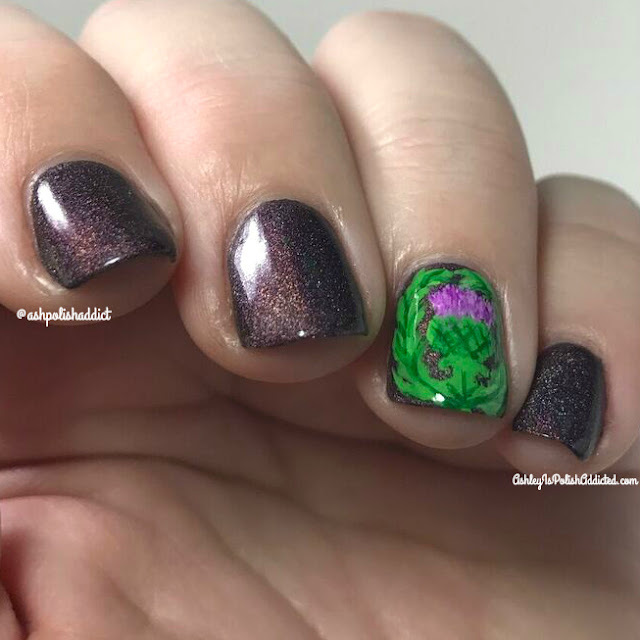 I used three different Paint Box Polish shades to create this look. Keep reading to find out more! Good morning! I hope you all had a great weekend! Cynthia from Alter Ego has recently created a group for her brand on Facebook. She asked for group custom suggestions and I suggested a bright red creme. She created it and named it in honor of MY alter ego -weight loss journey, and the blog I have for it. This is Psyched Up, inspired by Who Ate My Psyche?. Hello lovelies! 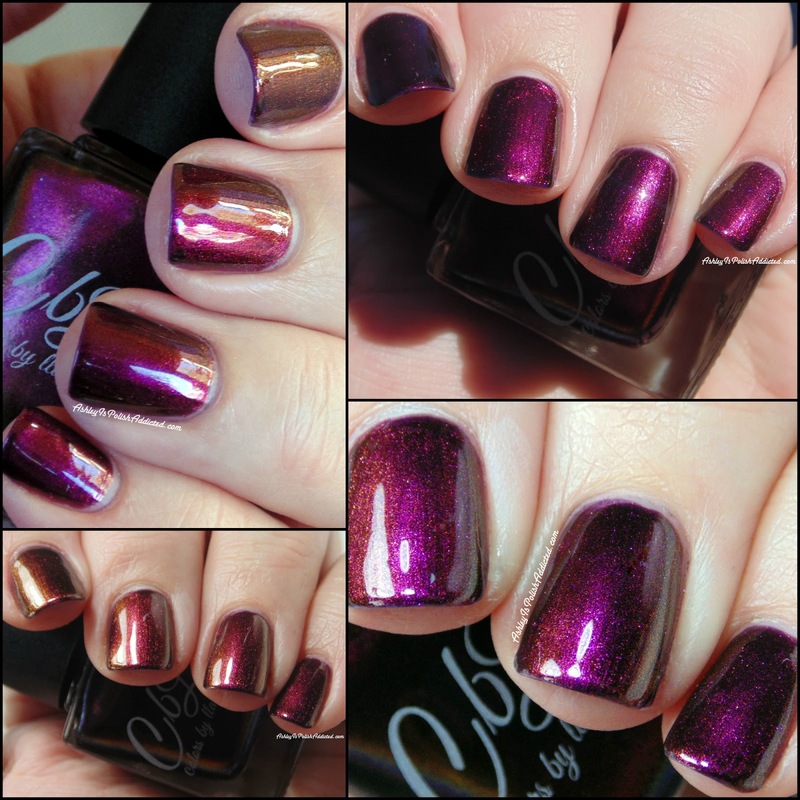 Who's ready to see what Colors by Llarowe's December Polish of the Month will look like? It is super lovely! Let's have a look at Fool's Gold! Happy Friday, everyone! 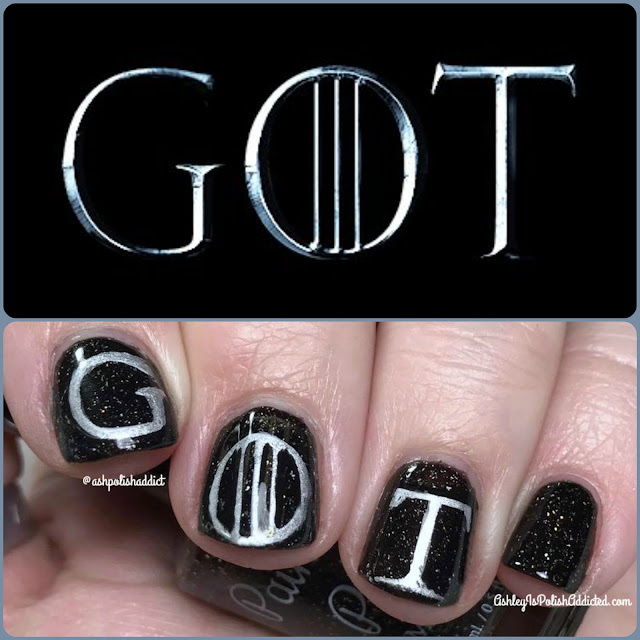 I have a quick nail art post for you tonight. My friend Lindsey from Wondrously Polished is getting married tomorrow (or today, depending on when you are reading this) and I wanted to do a little tribute mani to let her know I'm thinking of her on her special day! Happy Wedding Day, Lindsey!